This is the first post in a series about my recent trip to Mexico, or more specifically the Yucatan Peninsula. I travelled around the northern part of the peninsula for two weeks and will share my experiences with you in the coming blog posts. 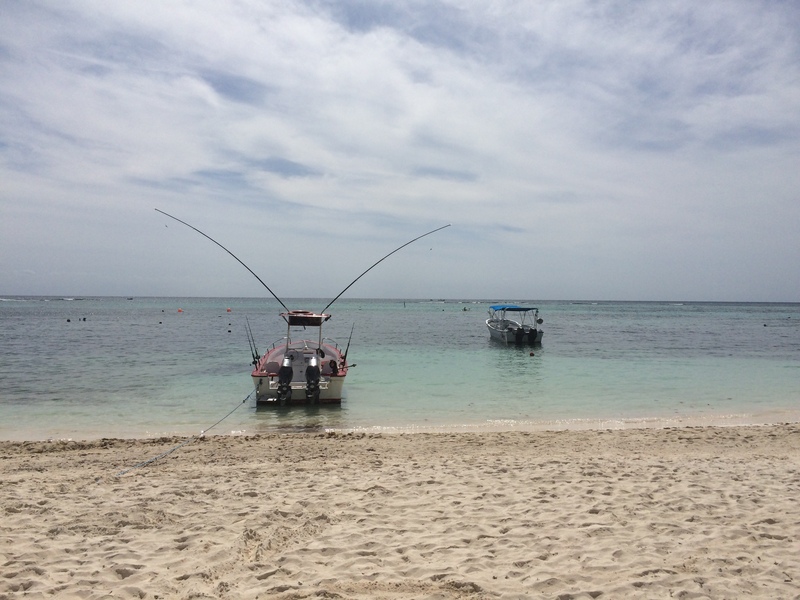 In this post I'll tell you all about my time in Isla Mujeres and the Riviera Maya. You almost can't go to the Yucatan Peninsula and not go to the beach. Unless that's really not your thing of course. But I can assure you, this part of Mexico has some incredibly beautiful beaches. The white sand is soft to the touch and the turquoise sea is simply dazzling. We spent several days on Isla Mujeres and on what is called the 'Riviera Maya' to enjoy the sun, sea and beach. The first stop of our trip was Playa del Carmen and the last one Isla Mujeres, which are actually quite similar. Playa del Carmen is a beach town south of Cancun, which you can reach by car or bus. Isla Mujeres is only a 30 min boat trip away from any of the ports in Cancun. Both places are ideal if you just want to lie down on the beach, get a tan, and have some cocktails in the busy main street at night. Both places are also pretty touristy. On Isla Mujeres you can clearly see the influence of the United States. A lot of places are adjusted to suit the taste of the northern neighbours, and even with the help of the Lonely Planet we had trouble finding authentic Mexican restaurants. Nevertheless, Isla Mujeres has some good things to offer, like the turtle farm on the south west coast of the island. At this farm they protect turtle eggs and release hatchlings when they're strong enough to survive. You can also find some good snorkelling spots both near the famous Playa Norte and Playa Garrafon. In both places it's easy to get near the reefs and you'll be able to spot lots of colourful fish, sea urchins and maybe a sea cucumber. In Playa del Carmen tourism is more about showing off Mexican culture. We had lunch in the popular Avenida 5 (5th Avenue), which is filled with restaurants and tourist shops, but it was very satisfying. They prepared the guacamole freshly at our table which tasted incredible, and most of the food on the menu was based on traditional Mexican recipes. In the middle of the town we witnessed a Danza de los Voladores, which is an ancient Mesoamerican ritual, in which four men launch themselves from a 30 meter high pole and swing down hanging on ropes while a fifth stays on top of the pole playing a flute and drum. In the evening we had a fantastic and incredibly cheap meal at a Yucatecan restaurant, Lonchería Doña Mary. We weren't the only tourists, but the restaurant seemed quite popular with the locals as well. At this place I had panuchos and tamales for the first time, and they are both a must try when you go to Yucatán. If you really want to avoid the major tourist spots, but still enjoy the beach, you could go to Akumal. Akumal is famous for its sea turtles which you can see when you go snorkelling there. It's still rather busy, because the chances of spotting a turtle are really high, but you can definitely find a comfortable spot and enjoy the beautiful surroundings. In my next post I will tell you all about things to do and see in and near Tulum!